At the Opener level, learners form a strong foundation in understanding Wellbeing and their interconnection with the Community and Environment. Earth Citizen welcomes students to the Kampung Kampus in an impactful programme that uses environmental sustainability to explore community relationships and the students' individual connections to the land. Students get to explore the Kampung Kampus and its nature-inspired and community-driven landscape, which is home to a lush green scape of farms, fruit trees, edible herbs, birds and small animals. Students experience first-hand the Kampung's green practices and infrastructure that is entirely built and maintained by its community. Galvanising students to step outside of their comfort zone, the programme stretches them through real work on the Kampung Kampus' land. It encourages students to see a different perspective, contribute to a real impact, and develop empathy and appreciation for both the people involved in the work and the land that supports people to understand that sustained action for Earth must be driven by care by both parties. At the Learner Level, learners acquire skills, competencies and toolkits to navigate through adversities towards a fulfilling, purposeful, and future-ready life. 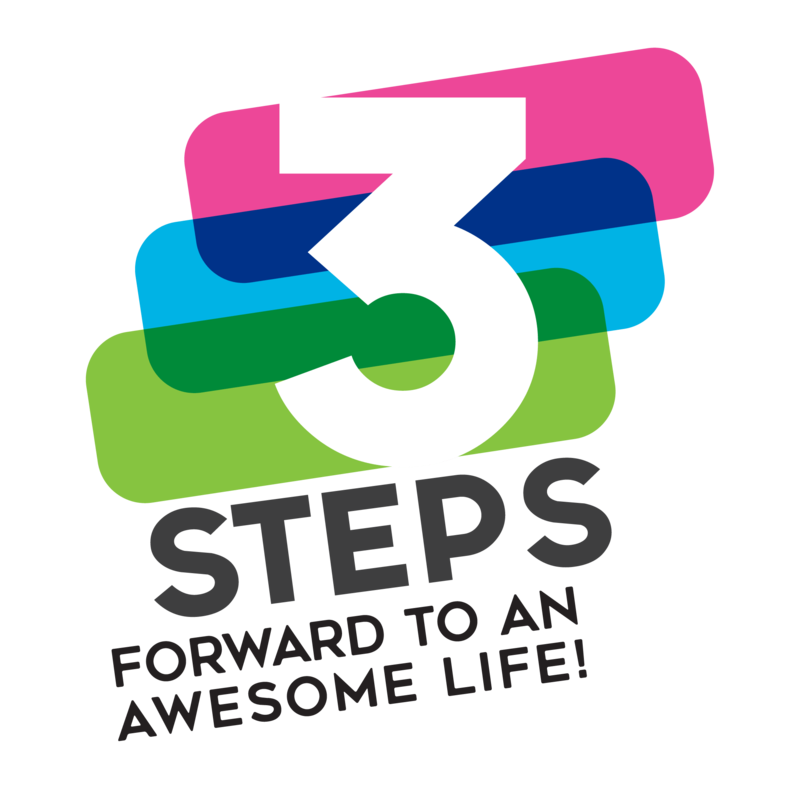 3 Steps Forward to An Awesome Life! Power up your students with The Environmental Learner Series! Developed to address the needs of environmental education, the Environmental Learner Series nurtures the student's relationship with the Environment and Community through 6 focused programmes. Outlined by the UNESCO-UNEP curriculum, students can develop the capability and willingness to respond to environmental issues in their communities through ethically responsible ways only when they feel a combination of ownership in the issues and empowerment to effect change to the issues. Students acquire an awareness and sensitivity to the total environment and its allied problems. Students acquire a set of values and feelings of concern for the environment and the motivation for actively participating in environmental improvement and protection. Students acquire the skills for identifying and solving environmental problems. Students gain a variety of experience in, and acquire a basic understanding of, the environment and its associated problems. Give - Discover the importance of gratitude to stay grounded, seek continuous self-improvement, and contribute back to their families, schools, and the environment. The 6-hour workshop is supplemented with a Gear-Up Toolkit for students to craft out their own action plans towards applying their learning in the next 1-2 weeks. A 2-hour follow up session will be held with the students to review the success rate of their action plans and gather data to tabulate a wellbeing report for schools. Future Ready Community is an exciting one-day experiential, hands-on, and place-based sustainability workshop that allows learners to explore the meaning of sustainable living. Set in a future scenario, the programme allows learners to experience the chain reaction of choice-action-outcomes, and triggers learners to rediscover themselves, rethink mindsets, and reconnect with the community and environment. Ranging from self-exploration to working in small groups, learners will apply the knowledge and experiences they discovered to critically challenge the notion of sustainability and what it means for self, community, and the environment. Explore: Understand and appreciate the various concepts of sustainability through experience and immersion in a community and rustic environment. Interconnect: Discover the interconnections of community, the environment, and self towards being future-ready. To understand that we, humans, need to better understand and appreciate our community relationships and our individual connections to the land; to find a holistic manner for sustainable developments for the future. Experiment & Experience: By walking the ground and working with limited resources, participants will learn to experiment and create their own experiences for the day, while staying true to the theme. Earth Learner empowers students with a deeper knowledge of environmental issues, and strengthens personal positive attitudes towards the Earth. Understand why the climate is changing through a stronger foundation on environmental concepts. Have the opportunity to explore environmental stewardship taken on individually or collectively. Exhibit concern and appreciation for the global and local environment. Develop respect and empathy for humans and non-humans affected by climate change. Energy Learner empowers students with a deeper knowledge of energy issues, and strengthens personal positive attitudes towards being an Energy Learner. Where do we use Energy? Strengthening Attitudes: How can we help? Understand why we need Energy Agents through a stronger foundation on environmental concepts. Discover ways to reduce Energy consumption. Food Learner empowers students with a deeper knowledge of food issues, and strengthens personal positive attitudes towards being a Food Learner. Through Systems Thinking, students gain a better understanding of the interconnections in the food system and discover positive ways to deliver, store and reduce wastage of food. How does Food arrive on our plates? What is the impact of Climate Change on Food, and us? Our impact on the Earth and Strengthening Attitudes: How can we help? Understand why we need Food Agents through a stronger foundation on environmental concepts. Discover ways to reduce our impact on the Earth through Food choices. Water Learner empowers students with a deeper knowledge of water issues, and strengthens personal positive attitudes towards being a Water Learner. How does clean Water reach our taps? What is the impact of Climate Change on our Water Bodies and us? Understand why we need Water Agents through a stronger foundation on environmental concepts. Discover ways to reduce our impact on the Earth through being Water-Wise. Waste Learner empowers students with a deeper knowledge of waste issues, and strengthens personal positive attitudes towards being a Waste Learner. Understand why we need Waste Agents through a stronger foundation on environmental concepts. Discover ways to reduce our impact on the Earth through being Waste-Wise. Sustainable Living Learner empowers students with a deeper knowledge of the approach of Wellbeing through an exposure to Systems Thinking to understand issues of sustainability and strengthen personal positive attitudes towards self and the Earth - A happy, healthy person can create a better Earth! How is the Wellbeing of Earth affected by Climate Change? Strengthening Attitudes and Habits: How can we help? Understand why Wellbeing is a relevant and important approach towards holistic sustainability through a stronger foundation on these concepts. Explore the possibility for habits which foster personal and environmental wellbeing, taken on individually or as a collectively. At the Ignitor level, students are challenged to integrate the competencies beyond their comfort zone to serve for real causes and create real impacts through our EPIC programmes. The hallmark of WOW Kampung's Ignitor level, the EPIC programmes are focused on preparing learners to be willing and skill-ready to fuel real, positive impact in the Environment and Community. EPIC programmes range from 3-day 2-night camps to non-residential workshops. Learners are casted in scenarios to apply methodologies and toolkits such as Asset-based Community Development, Social & Environmental Impact Assessment, Social Business Canvas, Empathy Training, and appreciating team dynamics breakdowns, among others. Through EPIC, learners fortify their qualities of resilience, confidence, and leadership. The acronym EPIC also represents the perception of how environmental and community challenges may look to be of epic proportions. Yet, through effective engagements with communities and working together with other learners, these identified challenges can be addressed effectively involving people from diverse background and experiences. To lead the change in the world, first you must want to be the change yourself. Learners develop their joyful sense of purpose at the core of being a compassionate activator of change. This learning sets the foundation for self-awareness, high standards for personal accountability, and the ability to motivate oneself in future leadership adventures. To help our learners choose the right direction in their desire for change, first, they need a strong sense of values to support their decision making and work ethics. Learners will understand the fundamental values of grounded actions that is becoming even more important in our fast paced 21st century where instant gratification and results are required. Learners will acquire a clearer vision and a strong sense of realistic direction to execute change. Learners will quickly discover that the best laid plans require adaptation to succeed in a dynamic and ever-changing world. Learners will acquire adaptability through putting ideas into practice in our living classroom and interacting with the community to see how people respond to their ideas and experience success, failure, and adaptability. Through genuine conversations and engagements, learners will put their competencies into practice and learn the skills of connecting with people of diverse backgrounds.